All CSSA club yachts are fully equipped, inspected and certified to either the Royal Yachting Association and Marine Coastguard Agency safety standards for chartering and training or the Royal Ocean Racing Club standards for racing. Sea Essay – Operated by The Channel Sailing Division (CSD) from Mercury Yacht Harbour on the River Hamble near Southampton.This Sun Odyssey 409 (SO409) is a three-cabin 40ft cruising boat, fully equipped to the highest standards of safety and navigation, with accommodation for up to eight crew including skipper. 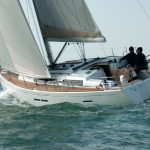 It is used for training at all levels, short and long cruises, and self-skippered charter by qualified members. 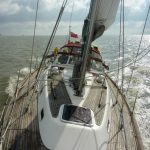 Freyja of Orwell – Sails from Shotley Marina near Harwich on the River Orwell, Essex, for training (both informal and RYA courses), cruising, and charter by the East Coast Yacht Division (ECYD).This is a modern, six-berth Najad 380, fully equipped for long-distance cruising around the British coast and across the North Sea to Scandinavia and the Baltic, and also south to France and Spain. 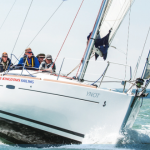 Ynot – A three-cabin Beneteau Oceanis 37 operated by Five Kingdoms Sailing Club (5KSC) from Liverpool in the waters between Wales, Northern England, Ireland and Western Scotland.It is used for cruising, club charters, various training courses and racing throughout the season.